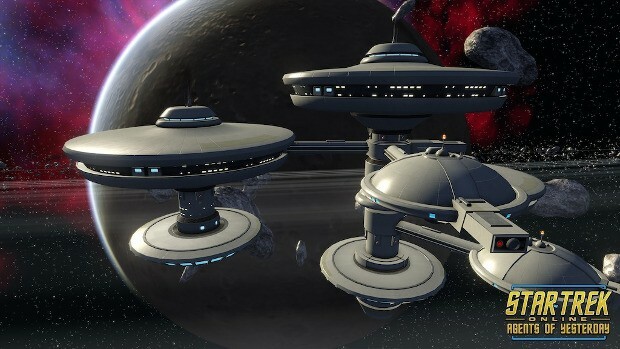 Perfect World Entertainment released the most recent update for its free-to-play sci-fi MMO Star Trek Online, titled Agents of Yesterday – Artifacts, earlier this week. The update introduces several new pieces of content, including a story arc that will carry on into 2017. Agents of Yesterday – Artifacts includes a new episode that teams captains up with the Lukari to uncover a plot in an undiscovered alien system, a K-13 fleet holding inspired by The Original Series, improved graphics, and new weapons and bridge officers — also inspired by TOS. For more information on the update, head on over to the official site or check it out on Steam.